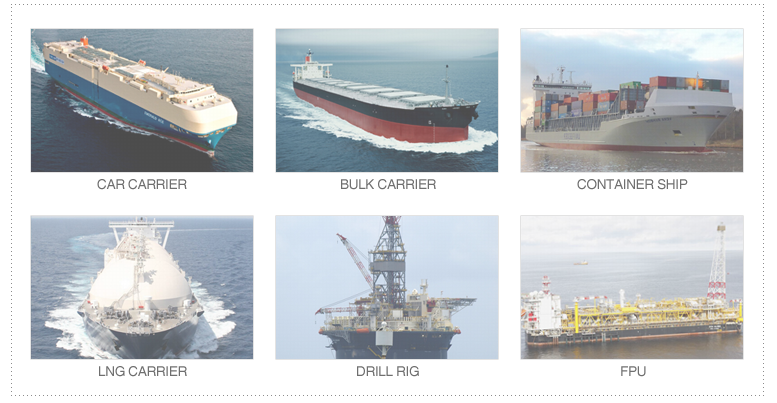 Sunwoo has been supplying the products in area such as tanker vessel crude oil tank, LNG carrier, to general vessels, such as car carrier, bulk carrier and container ship. Sunwoo also active in areas off-shore projects such as drill rig and FPU. Sunwoo maintains strong partnerships with major clients such as Hyundai Heavy Industries (HHI), Hyundai Samho Heavy Industries (HSHI) and Dae Han Shipbuilding Corp (DHSC). COPYRIGHT ⓒ SUNWOO OUT-FITTING MANUFACTURING CO.,LTD All Rights Reserved.